We all have WiFi dsl routers in our home, it is very often to forgot wireless network password. There could be many reasons to change WiFi password, so today we will know how we can set new WiFi password and name (SSID) easily using Android, Windows computer, iPhone or mobile phone. There are many benefits of setting strong security Key to prevent stealing of your bandwidth. Well there are two ways of changing WLAN password of Modem/ Router using routers’ configuration software page (current password should be known / device should be connected to the network) or by factory resetting the router. Also checkout how to know already saved WiFi password. 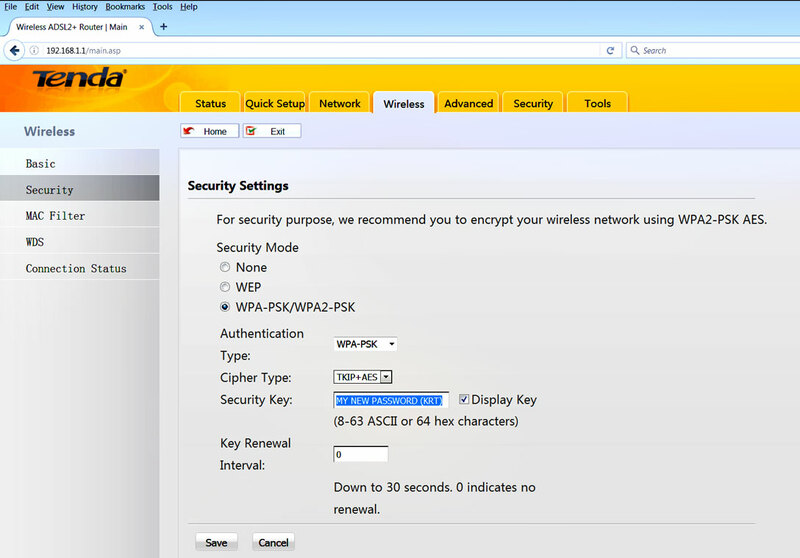 This method will work on all WiFi enabled computing devices. All you need is web browser and your device should be connected to the network, whose password you want to change. It will work for : BSNL Boradband, JioFi, Tenda, Comcast, AT&T, Time Warner Cable, Verizon, CenturyLink, Connect Broadband, Hathway, Charter, Cox, Cable Vison, Virgin, Connect, Airtel, SSE, Plusnet, EE, TalTalk, Excite, Sky, BT, Virgin, MTNL, PLDT, dreamtel, tp-link, d-link, Tenda, Netgear, Linksys, Apple, Xiaomi, BelkinAsus, TREADNet, Portal, Synology, Google, ZTE, Huawei, NEC, Digisol, LANCOM, Rukus, Cerio , H3C, Telco, Ericson, Dell, MerakiCisco and binatone routers. If you forgot the routers current password and you device is not even connected to the network, then you can change the WiFi password by first resetting the router, connecting to it and then following the above method. When you reset the router it will wipe all currently saved WiFi, ISP, portforwards, firewall and other settings. 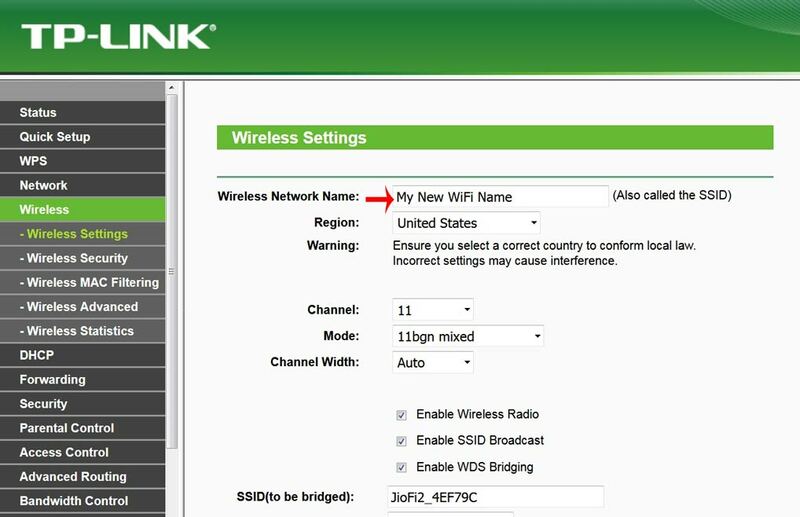 To change WiFi Name go to Wireless in TP-Link or any other router and change and insert new name (delete the old name) in the “Wireless Network Name: OR SSID” field. So after you login to your Router / modem ip you can change WiFi channel, Channel Width, Authentication type Open or secure and many other configurations. You can see the default on the retail box or on the back of router itself. 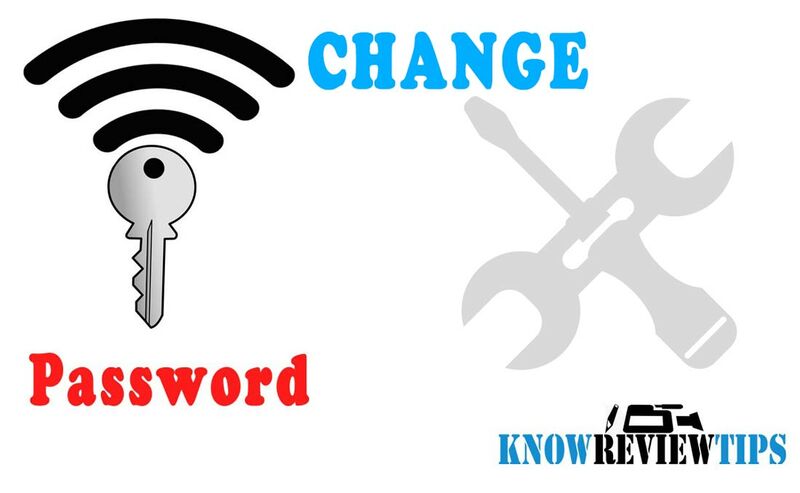 After you are connected to the router you have to follow the first method to change WiFi password. We hope you like the easy tutorial on how to reset the WiFi password of your router on mobile or computer. I put my username and password ... but it keeps on asking for username and password again and again. My wifi's name is the username right???? Can you name your Modem / Router . Usually user name and password is "admin" or "administrator". Or check for it in user manual or the device retail box. Check this https://www.dtechy.com/list/list-of-all-modem-routers-ip-address-login-password-and-username/ . OR you can know the Routers Default IP address from Company's official website.